I’m peering over the edge of a smooth rock ledge, looking down at the green water of a swimming hole about 30 feet below me. It certainly feels a lot higher than it looked from the water below, but that always seems to be the way. A fellow visitor standing next to me looks over the edge, shakes his head no, and proceeds to scramble back down the rocks the way we had both come up – further causing me to question my decision to jump. But the way up was somewhat tricky, and isn’t going to be any fun going down, so I take a breath, push off, and land with a splash in the cool water below. The spot was the “Sol de Mayo” waterfall in Los Cabos, Mexico, located at the base of the Sierra de la Laguna mountain range. 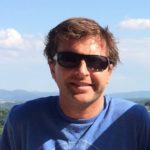 I had come to Los Cabos with the same intentions as most visitors: lounge on the beach, do some snorkeling and whale watching, and maybe check out the nightlife in Cabo San Lucas. 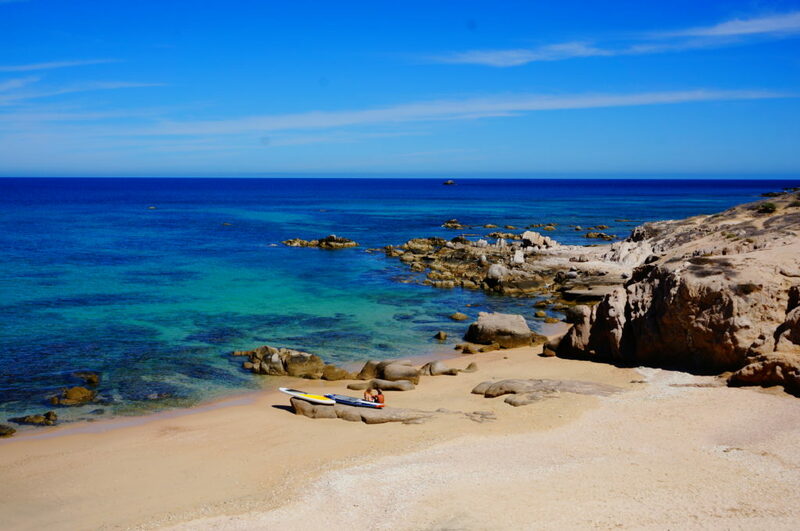 But after 3 or 4 days of doing just that, I felt I should see what else the area had to offer, so I rented a car and set out to explore Baja California Sur. My first destination was Cabo Pulmo National Marine Park, set in the East Cape region of Baja, about 60 miles north of Cabo San Lucas. The park is home to one of three living reefs in North America and offers spectacular diving and snorkeling, as well beautiful, secluded beaches. While there are several options for lodging in the area, the lack of development in Cabo Pulmo makes it feel worlds away from the miles of resorts around Cabo San Lucas. I made my way to ‘los arbolitos,’ a truly stunning beach with just a few straw shelters for shade and only a handful of other visitors. Renting snorkeling equipment from the local caretaker, I headed out into the water and within a few minutes was observing marine life on a coral reef. My only regret was that I hadn’t brought a wetsuit – after a half hour or so in the water I began to get cold, so headed back to the beach to warm myself under the sun. Having worked up an appetite, I headed back to the village of Cabo Pulmo, stopping at the open-air restaurant “La Palapa” for some delicious fish tacos and a cold beer. The second stop on my explorations was the above-mentioned Sol de Mayo waterfall. 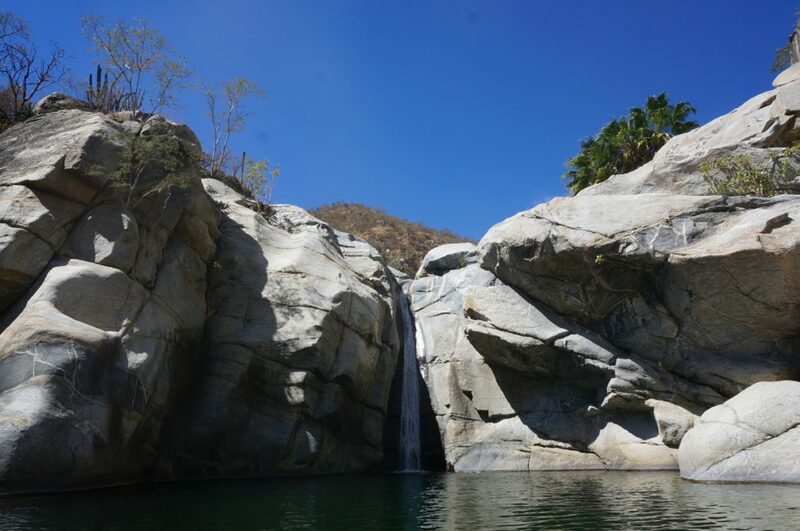 From the tiny town of Santiago, located about 50 miles north of San Jose del Cabo, I followed dirt and sand roads for 15 minutes or so until I reached the rustic “Rancho Ecológico Sol de Mayo” where I paid the nominal admission fee and was pointed in the direction of the falls. After a 10 minute hike I arrived to an overlook, where I could see the falls below. The word ‘oasis’ gets thrown around a lot, but these falls are the literal definition of the word. Set amongst the harsh, dry cacti and scrub brush is a beautiful river cascading through smooth white rocks and surrounded by lush green plant life. I scrambled down a fairly steep but easily navigated section and made it to the waterhole below, where the cool water felt delicious on such a hot day. And after scouting the scene from the swimming hole, I decided to climb to the top of the cascade for my big jump. 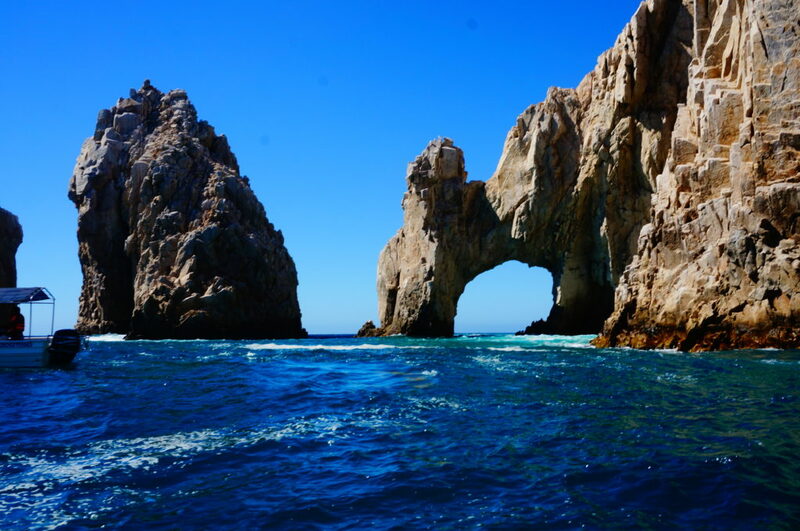 With all the golf courses, organized activity tours and night life in and around Cabo San Lucas, you could easily to spend a week there and never venture far from town. But when I think about my time there, I find that the outings to Cabo Pulmo and Sol de Mayo were the most memorable parts of my trip. I resolved on my next trip to plan to stay a night or two in Cabo Pulmo and give myself more time to explore, do some diving and mountain biking, and definitely eat a few more fish tacos. As for the waterfall, I think one jump was enough for me.